We consult with organizations that deal with issues in both the public and private sectors. 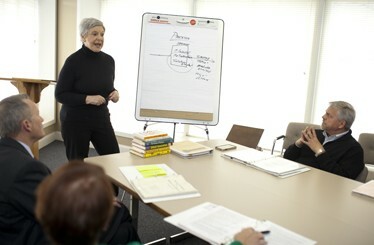 Our conflict management system design includes strategic planning, education and training and mediation services. Our strategic planning and collaborative problem-solving models are cutting-edge approaches to resolving internal and external conflict. These methods are cost-effective, time-efficient and solution-oriented. Because of the high cost of resolving issues, our clients have found an effective and efficient resource for satisfying their desire to communicate and resolve disputes directly with the parties involved. Disputes in the professional world are a regular occurrence. The challenge is to determine the best way to address these problems without spending inordinate amounts of time, energy and money, and at the same time maintain sanity. In an Accountemps survey in March 2011, “Managers interviewed said they spend, on average, 18 percent of their time — more than seven hours a week or nine weeks per year — intervening in employee disputes.” People get overloaded with work and lose sight of the simple communication and common courtesies that make for a well-functioning system. mistakes may happen, effecting delivery of service internally and externally. 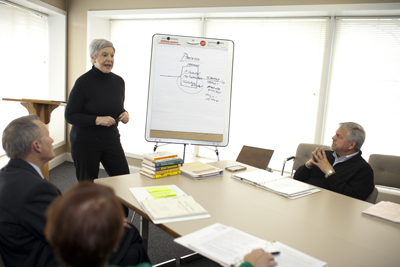 We teach our clients how to incorporate strategic planning and basic collaborative problem-solving techniques into their day-to-day business and corporate settings. Experience has demonstrated that when conflicts are managed through a collaborative problem-solving system, rather than public [court] or private [arbitration] judicial processes, conflict is minimized, costs are reduced as much as 50-80 percent, internal and external relationships are preserved and corporate goals are more effectively and efficiently met. 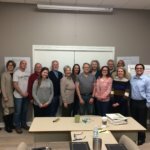 We specialize in providing a collaborative approach to strategic planning where all involved in the organization have the opportunity to be heard and to “buy in” to the plan of work. The process ensures open, honest discussion wherein goals and objectives can be realized and timelines and accountability are clearly defined. Our strategic planning model includes an organizational analysis that defines goals, objectives, and activities and the design of an organizational infrastructure necessary to implement the plan in a time-efficient, cost-effective manner, without unnecessary conflict.